Tesco, Asda, Morrisons and Sainsbury’s have announced a 2p-per-litre cut in the cost of fuel. The move, which could spark a price war between the supermarkets at the forecourts, will lower the cost of unleaded to 114.7p-per-litre and diesel to 116.4p-per-litre. Asda currently has the lowest price for unleaded - at 114.7p-per-litre - while Morrisons is offering the best diesel deal at 116.4p-per-litre. Tesco has cut its average price of unleaded to 115.6p-per-litre and diesel to 117.6p-per-litre. Sainsbury’s has also promised 2p-per-litre off, although prices will vary from store-to-store. Fuel prices fluctuations are caused by a combination of worldwide oil prices, along with the continuous rise or fall of inflation. These new prices will be welcomed by the millions of drivers who have seen fuel prices rise 16.8 per cent year on year, as well as a fall in purchase power caused by the weaker pound post-Brexit. 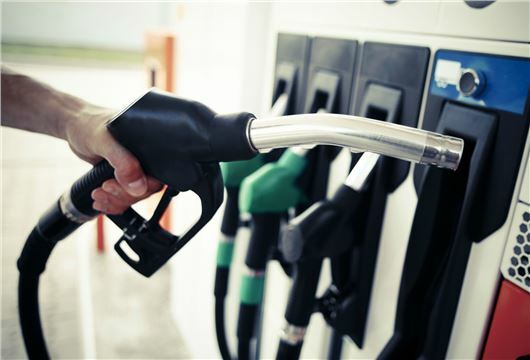 The average UK motorist has seen a litre of unleaded rise from 101.37p-per-litre to 120.06p-per-litre in little over a year, pushing up the cost of filling up a tank by more than £10, according to the RAC. This makes the 114.7p-per-litre for unleaded at Asda 5p cheaper than the current national average. Many supermarkets buy mogas and diesel on the "spot" market and the fuel quality is often suspect. I would never put their fuel in my Jaguar XF and will only use Shell V-Power + Nitro or BP Ultimate. Given also the current, negativity being generated towards diesel-powered cars, the emissions from Shell and BP fuels above, will be far more environmentally acceptable, let alone the enhanced fuel consumption. I consider, therefore, supermarket fuel, albeit cheaper, is false economy. Most supermarkets also offer a premium petrol and diesel option. They are more expensive but I'm sure they are better for the car. A friend, who, like me, is diesel, says he gets more mpg using the premium rather than the standard. On to the negativity towards diesel. All the greens AKA brown rice and hairy armpit brigade don't seem to have heard of Euro 6 engines. Neither do the press or the chancellor! My one year old, 2 litre twin turbo BMW X is Euro 6 ULEZ which means I can, should I wish, drive it into London without a penalty when the ban on high polluting vehicles, petrol and diesel, comes into force in October. About time too! I never would take my car into a city, I live in a rural area by the way, unless unavoidable because that type of stop start driving is not good for diesels. Not good for any car come to that or the environment. There are many new diesel cars coming on the market, cleaner than many petrol versions, having special catalytic converters to remove the oxides from NO2. Also filters to capture the particulates and burn them at high temperature so nothing escapes into the atmosphere. Look up Bosch technology. Diesel is the backbone of commerce; cars, taxis, lorries, buses, trains, aeroplanes and ships. Their engines last twice as long as petrol and they are more economical but their act must be cleaned up!